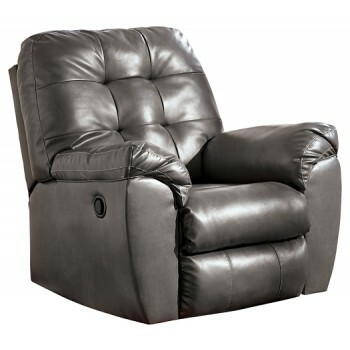 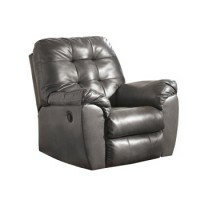 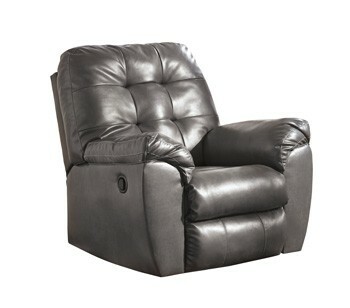 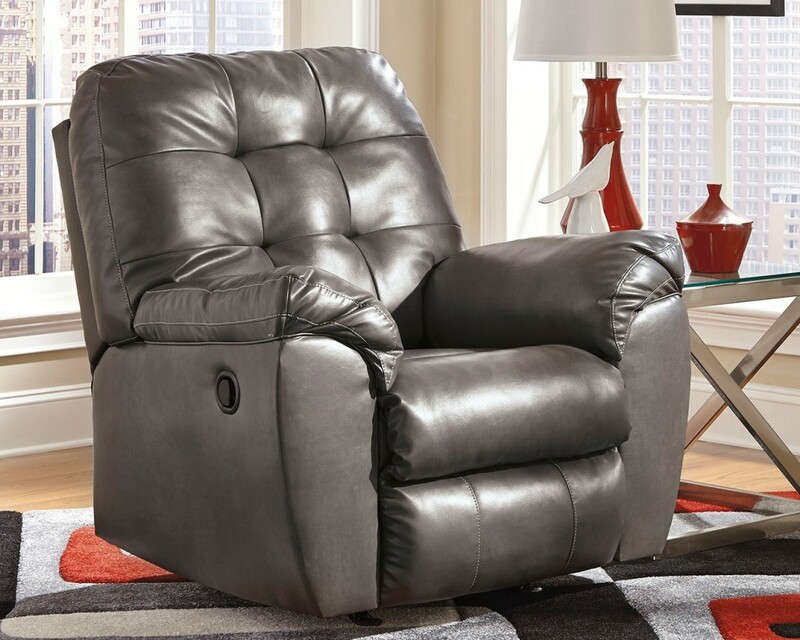 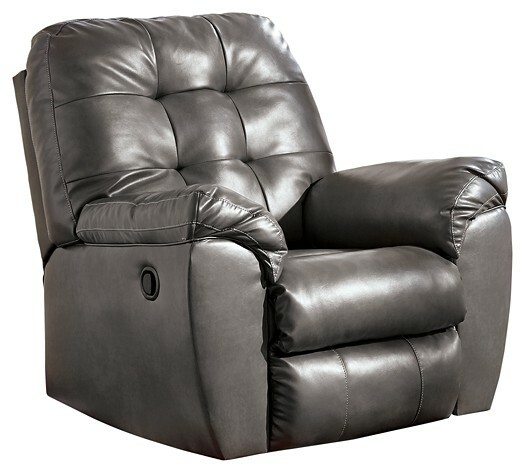 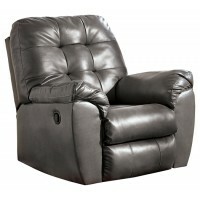 There’s no shame in sacking out and kicking back, not when you look as good as you do in this rocker recliner. 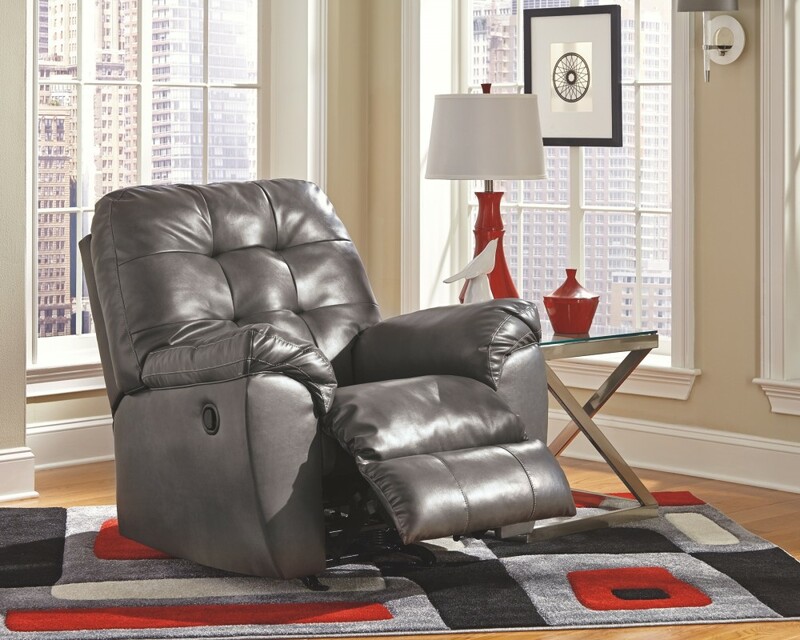 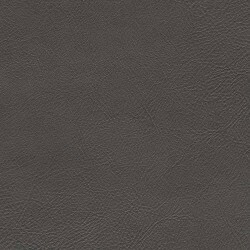 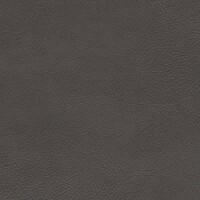 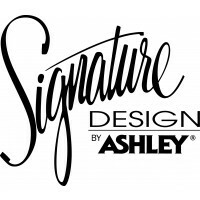 Signature upholstery provides the look of gently weathered leather—enhanced with handsome tufted detailing and tailored curves. 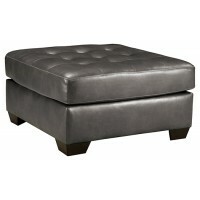 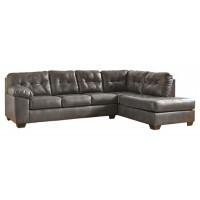 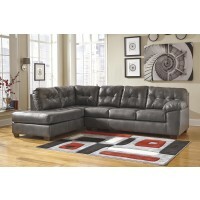 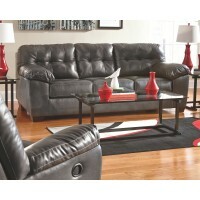 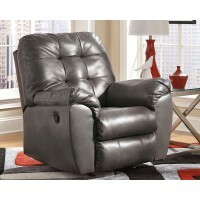 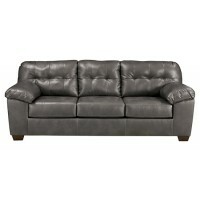 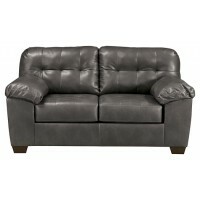 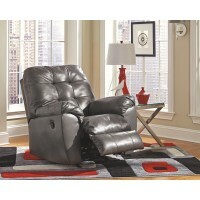 Pillow top padded armrests are over the top, while pull tab design keeps the fact that it’s a recliner on the lowdown.